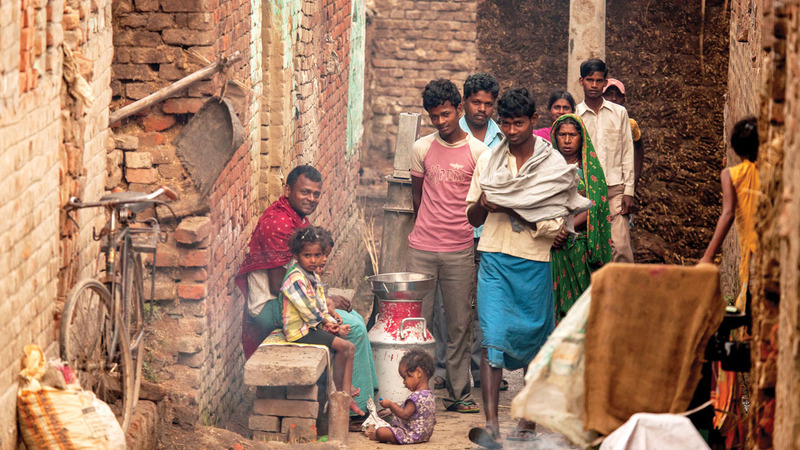 Arjun* and his family live on a bustling highway just outside a major city in South Asia. They can easily get a bus or other transport to a train or bus station, and from there, to an airport and a trip to anywhere in the world. But no Christians have learned Arjun’s language, one of hundreds of minority languages here. No one has worked to understand how he and his people view life and the world around them. No one has brought them God’s message of eternal, abundant life. The story of Arjun and his people is repeated throughout Asia and on every continent. Today’s unreached people groups live in remote jungles as well as modern cities. They live in thatch-roofed huts, high-rise apartments and tents. Some of their governments appreciate and welcome missionaries; others suspect them, restrict them or even hunt them and evict them — or worse. They all need someone to come to them, learn their language, understand their worldview, and clearly present God’s message of salvation and disciple them. Would you like to be part of making that happen? For decades this organization has focused on remote people groups — those in hard-to-reach places like the tops of knife-like ridges; in the midst of muggy, muddy swamps; or behind the screen of dense jungles. The success God has given in those works — success fueled by your partnership — has drawn the attention of believers around the world. Believers are reaching out, pleading for help with the unreached peoples in their midst. But hold on a minute. We already have our hands full. 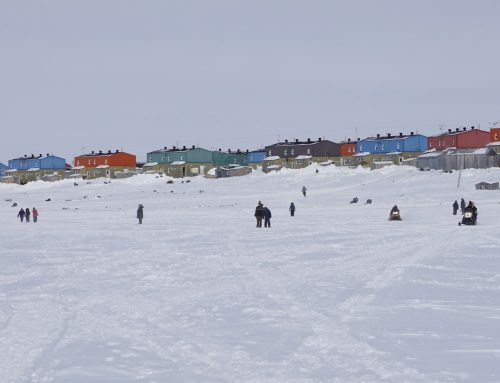 There’s more than enough work left among isolated people groups. Taking on more would be a huge challenge — a challenge far bigger than Ethnos Canada and partners like you. The task that God has put before you and me is not just huge, it’s complex. He told us to “make disciples of all nations” (Matthew 28:19). Paul and other early missionaries carried that task forward by establishing and discipling churches where the gospel had not yet reached. Often in Acts we read about Paul or his co-workers spending months in a particular location — even though they spoke the same language, understood the culture and were building on an existing knowledge of the Old Testament. You’ll also have to adjust the way you impart those skills based on the culture of the person you’re equipping. A person who has grown up in a tiny village in Papua New Guinea is going to have a different starting point and different learning style from someone who grew up in suburban Toronto, urban Bangkok or rural Germany. Believers from all those places and more make up the Body of Christ and are on the team that God is using to build His Church around the world. But how do you work as a team with people from a dozen (or more) different cultures? Canadian missionaries who work with Australian missionaries will sometimes mention that Australians will spend a lot of time to save a little money, and the Australians will joke back that Canadians will spend a lot of money to save a little time. In many parts of the world, “You’re really fat” is a compliment. That’s hard for most Westerners to take, even when they know how it’s meant. Everyday customs like the way we greet each other — or not — can cause unintentional offense and division. The possible points of conflict — the potential for team-destroying misunderstandings, assumptions and disagreement — are many. So how do you mold an effective team from diverse cultures to tackle a huge, complex task? 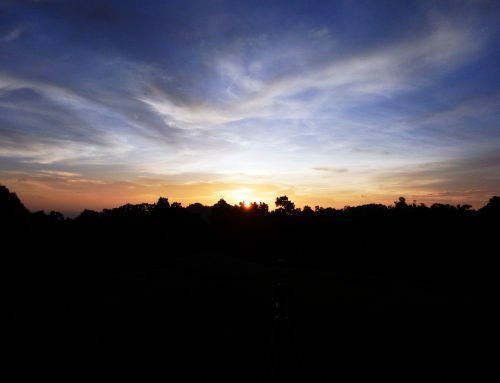 It helps to start by taking a deep breath to clear your mind, and looking up. God has given us this task, and that means two things. First, we’re not supposed to do it without Him, and second, He’s given us all we need to carry it out. 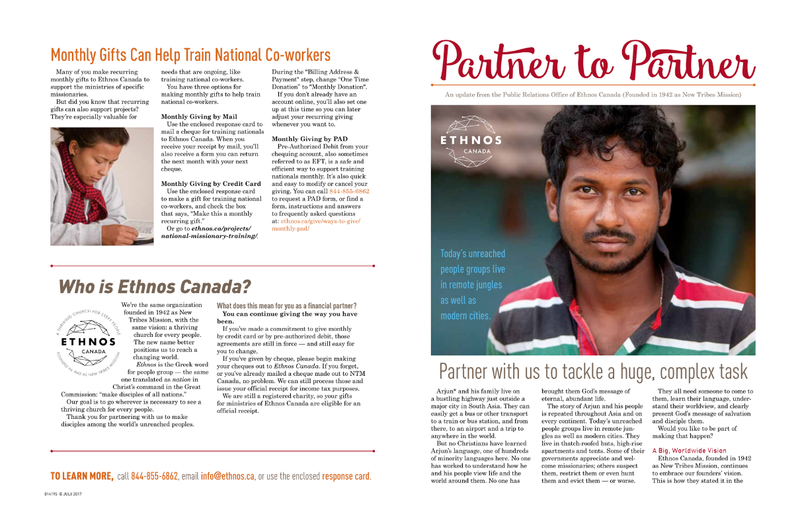 We believe that one of the most important tools God has given Ethnos Canada is the training that’s been developed to prepare people to plant churches cross-culturally. 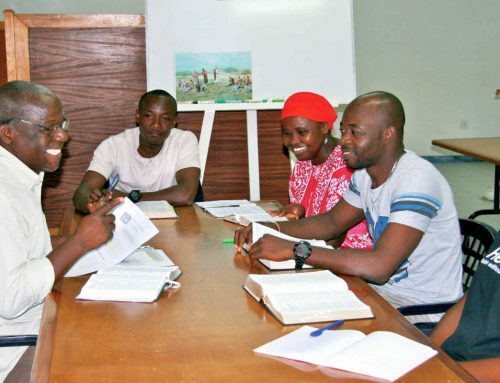 Bible training ensures candidates have a thorough understanding of the Scriptures and know how to study them for themselves, but it’s not all about facts. 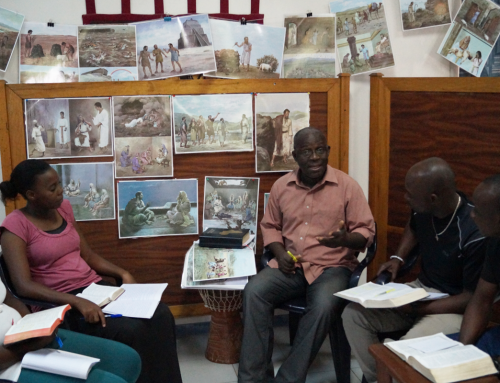 Ethnos’s Bible training puts an emphasis on walking with Christ, a vital skill for all believers anywhere but especially for those serving on a multicultural team in a cross-cultural ministry. Missions training at Emanate—the missionary training program of Ethnos Canada—imparts the basics of a variety of skills that will be needed in cross-cultural church planting, such as language learning, Bible translation and lesson development. As the teaching shifts to practical skills, walking with Christ is practiced as a day-by-day, hour-by-hour discipline. Ongoing training through seminars and workshops offered in many places around the globe and on-site visits by consultants impart the expertise necessary for dealing with knotty issues in literacy and Bible translation, ensuring that lessons are clear, and keeping each team working well together toward the common goal of establishing a thriving church. Our 75 years of experience tell us that all three of these pieces are vital for success. But who will Ethnos Canada equip with these vital tools and skills? This is a huge task, and it’s going to require a large number of workers. One answer is found in the people who are already serving as missionaries in their own countries. They have the God-given desire to serve Him by spreading the gospel. But many organizations and missionaries are questioning their effectiveness, and asking if there is training that can help. Many other workers can be found in the local churches near the places Ethnos hopes to serve. We’re focusing on engaging on the edges of the church — finding those people groups who are just beyond the reach of the gospel. That makes the local church a natural ally in reaching them, and a source of people to help with the work. Traditionally Ethnos has tried to place six or more specially trained Western missionaries in each unreached people group in order to establish a thriving church. Experience has shown that without the involvement of the local church there, that’s often the team that is needed. But when the local churches get involved, two or three specially trained missionaries can help with tasks like coordination, teacher training and lesson development, while church members handle Bible teaching, literacy classes and a variety of related tasks such as running a medical clinic and maintaining clean water. Working as a culturally diverse team is making Ethnos’s proven methods even more effective. Co-workers from other cultures provide valuable insights that enable us to adapt our training and methods to different contexts. That includes making our training overseas more appropriate to them. In addition, their specific knowledge of their own national culture can help tailor the training. This makes our efforts to reach the people on the edges of church together even more effective. To tackle the huge, complex task of making disciples of all nations, we need to have the same goal in mind: a thriving church for every people. The multi-cultural team needs to have a clear understanding of the God of the Bible and to be walking with Christ to work well together. Employing common methods, adapted to the setting, allows the team to effectively partner to establish a church among an unreached people group. Will you be part of making that happen? • Developing curriculum to train people in their own regions. Funded by your partnership, skilled trainers, experienced missionaries and local leaders will work together to determine what will be taught and how. • Developing the programs to present the curricula. Your gifts enable these same teams to work out where to teach, who will teach and other important details. You’ve partnered with us in God’s work for the first 75 years. Thank you! Each gift of $75 will help Ethnos equip national co-workers as we start the next 75. Use the enclosed card to give by cheque or credit card, or go to ethnos.ca/give to find more options. * Arjun represents a multitude of individuals in South Asia and no specific person. Download the September 2017 Partner to Partner Newsletter where this article originally appeared.